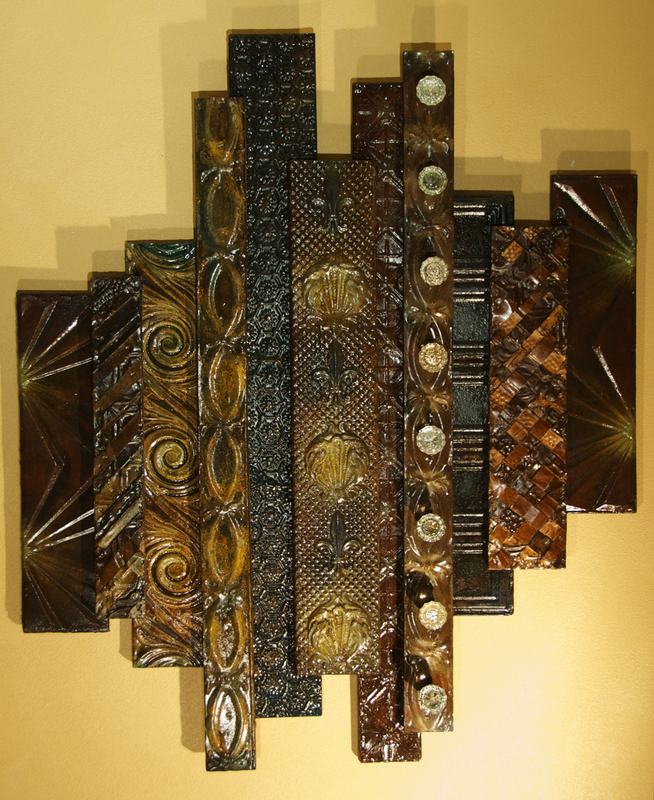 Single panels paired with center raised relief collage. "Indigo" - Strip collage with hand-woven tin panels and vintage door-knobs. This piece is an open form design. 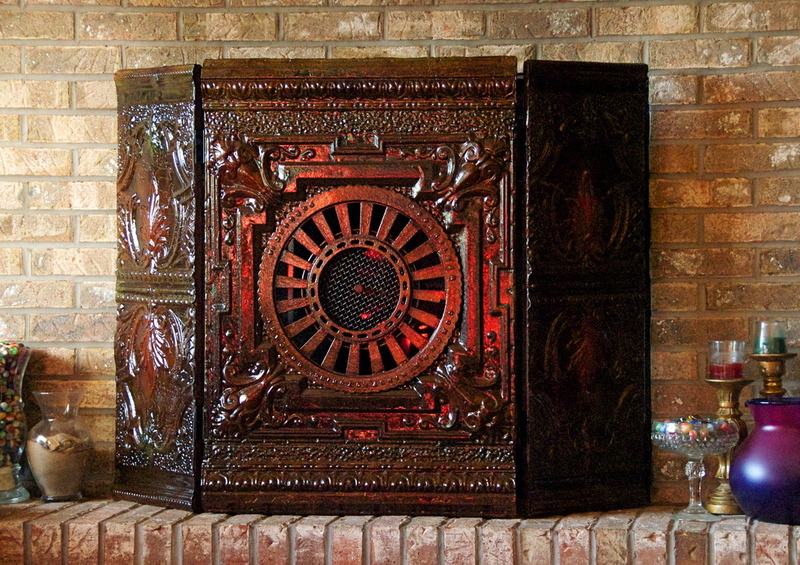 Features another of my favorite lamp bases and the 'North Wind!" 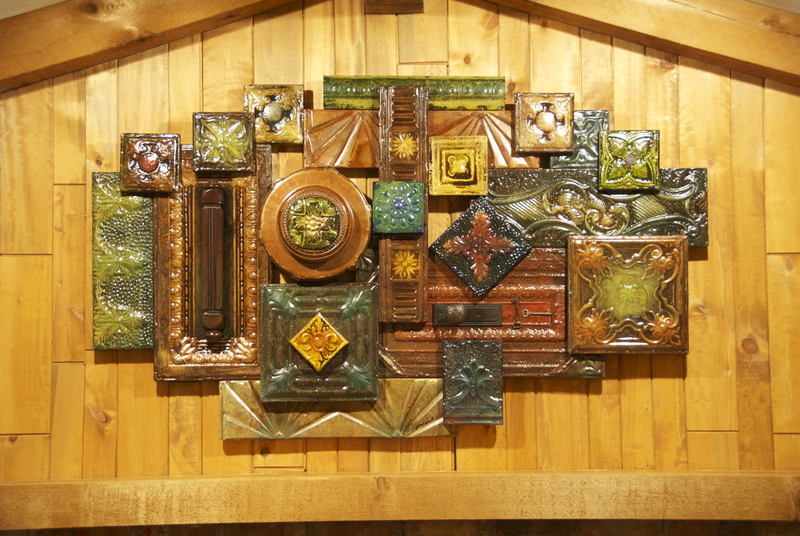 It graces the entryway of a beautifully remodeled Craftsman style house. One of my very first collages and still one of my favorites! Graces the conference room of a local law office. I adore the bright, bold colors!! 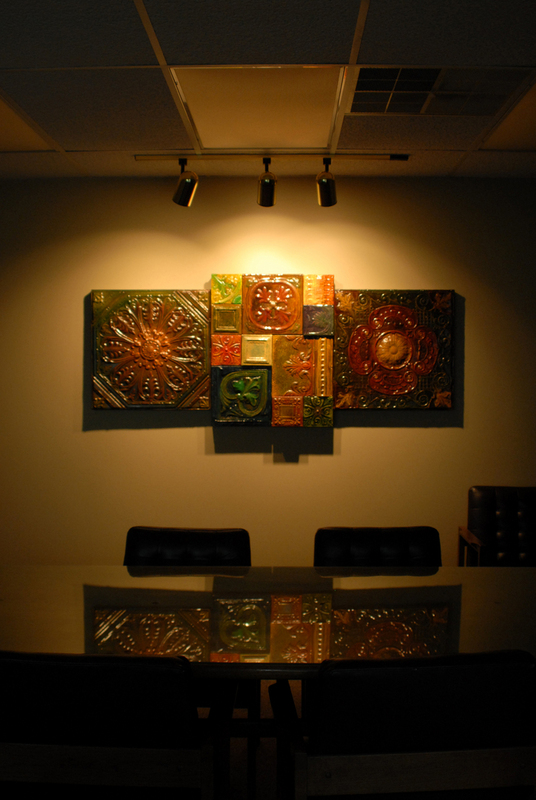 One of my earliest pieces and still a favorite because of the bright, bold colors! This brand new beauty is entitled "4-Spirals. 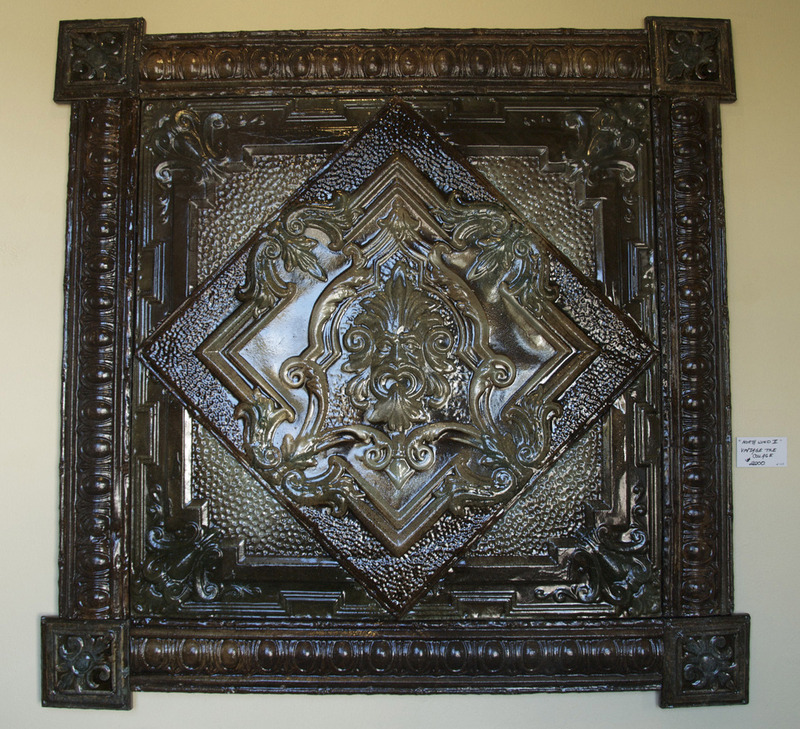 A custom statement piece to go over a large fireplace.